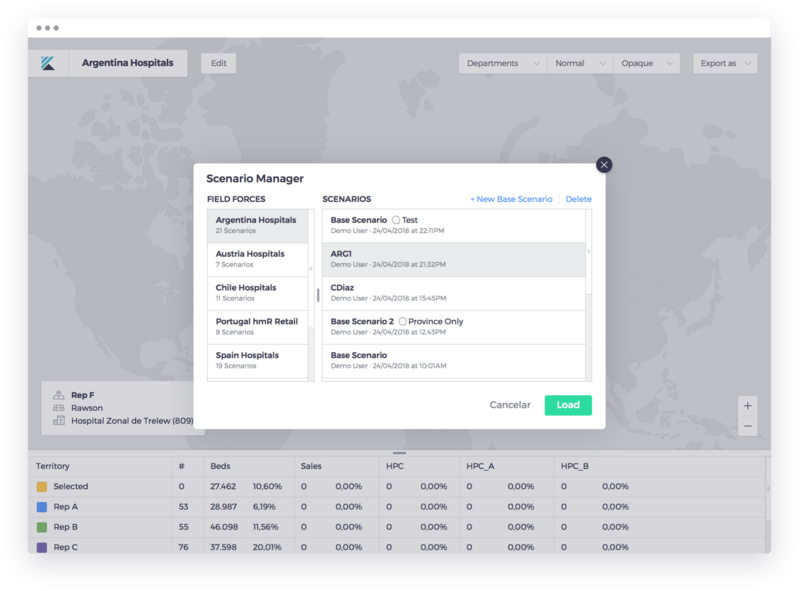 Unlimited what-if scenariosCreate & compare unlimited alignment scenarios with your field force structure and sales data. IMS-based alignmentCreate balanced territories in relationship to market potential, sales, HCPs & workload. Hospital-based alignmentGeoposition your accounts and balance your territories according to your own data. React faster to market environment changesTerritory Alignment ensures a fast response to any event, no matter external or internal. Obtain complete control over your resourcesThe map-based Territory Alignment displays potential areas helping to improve your design, balance and compactness.